Edefe is a lecturer in the Department of Jurisprudence and International Law at the University of Lagos, Nigeria. She has a Bachelor of Laws (LLB) from the University of Lagos, a Qualifying Certificate (BL) from the Nigerian Law School, a Master of Laws (LLM) in International and Comparative Law from the American University in Cairo, and a Master of Arts (MA) in Conflict, Security and Development from King’s College London. Edefe has been a recipient of several fellowships and academic awards, including the African Graduate Fellowship at the American University in Cairo, the CSDG/ECOWAS Fellowship at King’s College London, and several scholastic awards at the University of Lagos and the Nigerian Law School, where she graduated with First Class Honours. She also has certificates in research and specialized courses from several institutions and organisations, including the United Nations and the International Organisation for Migration. Edefe has worked as an intern and a research fellow at the ECOWAS Commission, where she specialized in projects relating to peace building, mediation, and the development of migration policies for the West African community. She has also trained government officials from West African countries on issues relating to integration and migration. 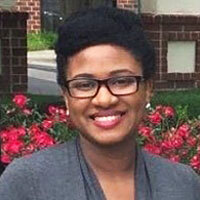 Her research focuses on citizenship, migration, and regional integration in Africa. She also provides research and program support to the Network of Migration Research on Africa (NOMRA).